You must make reservations at least 5 minutes in advance of the time at The Squire’s Landing. The closest public parking is the Wilson Overseas Passenger Terminal Car Park. Please note that Wilson Parking only operate the car park when a ship is not in port. There are a number of other Wilson and Secure carparks surrounding Circular Quay. Very limited street parking is available. Please note that the restaurant staff have the authority to give away your table if you are more than 15 minutes late and have not communicated this prior. From casual gatherings to cocktail parties to intimate sit-down dinners, the team at The Squire's Landing is committed to delivering outstanding events no matter the celebration. Chips bought from the super market. All dishes basically served with same garniture. Far from worth the hefty price tag. 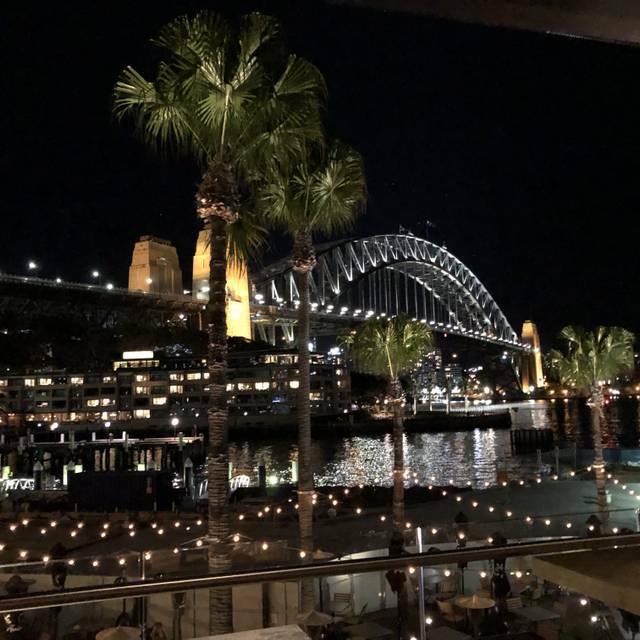 Beautiful views.Quiet night in restaurant however we were not allowed window seat as advised only for a seating of 5 people,which was very disappointing.Steaks were cooked as ordered and side chips generous portion. Staff friendly. Wonderful service and location. Great selection of food and absolutely delicious. Wouldn’t hesitate to recommend to locals and interstate travellers. We are already planning our next meal! I sat at a table with beautiful scenery outside the window and it was a pleasant Saturday evening with my friends. Restaurant menu was limited but the food was nice as was the beer and of course the view. So, the place was really just ok.
Food was not bad. Give it more stars because the view is outstanding. The service was not very good. Our waiter was clueless and I assumed it was just that Australia thing but found out he was from Texas? Embarrassing. Bar service in particular was just bizarre. Martini came in a rocks glass and hardly made it wet. The waiter didn’t know what a martini was. Finally got it straight but painful. Ordered tap water three times and never got it. We would like to make a particular mention to Ryan the establishment manager who made us feel so welcome and special during the evening, and we would also like to make a call out to Leah (Princess) who was our waiter that evening and was attentive to our needs as well as a delight to serve us. Thanks for a great evening. Incredible. Great food, great view, and no cruise ship which was a bonus! 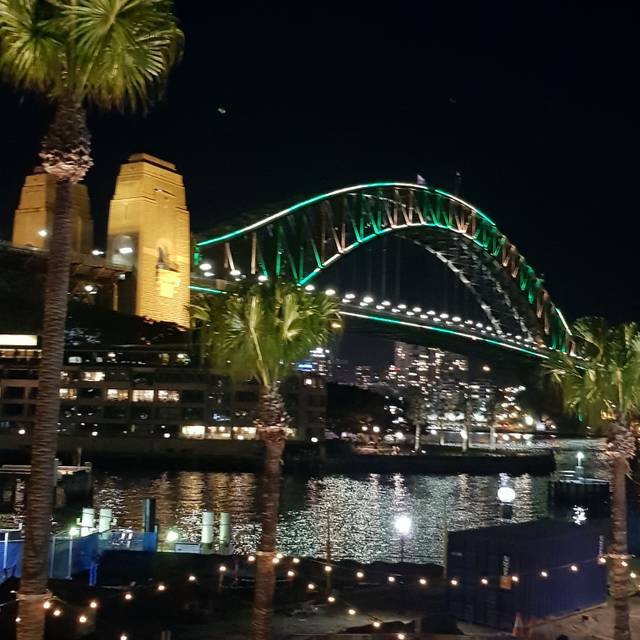 A wonderful venue with amazing service, food and stunning views of the Opera House and Harbour Bridge. My partner and I had an amazing time. We were lucky enough to see three fireworks shows which made the booking just that much sweeter. We highly recommend this place. Starters were very tasty, mains weren’t as expected and but desert was lovely. Service was great, staff were very attentive and nice. The views were amazing overlooking the Harbour bridge and opera house. What I didn’t enjoy was that half the restaurant was full off loud drunks over the other side of the bar, having to squeeze through groups of people drinking just to get to the bathrooms. If you’re gonna have a nice fancy restaurant keep the loud drinkers downstairs with the rest of them. As someone , who eats out quite a bit , be it for entertaining clients , birthday party's or just Sunday evening tea , this will be my new go to place , the views are among the best in the world not just in Sydney , we had an american waiter , he was fantastic , the food was lovely , a small bit on the expensive side , but you don't mind paying a little extra for that kind of service . Our third time dining there and the consistency in food quality and service is excellent. We both had steak - cooked as we asked and the sauce and sides were great. Ready to go back again soon. Had a great time, fantastic views and food, would definitely go again and recommend to others. Also interested in the more relaxed downstairs section also. Great position looking towards the Opera House at Circular Quay but not much to choose from on the menu! I feel it’s over priced for what you get! Went to the restaurant upstairs.. downstairs would’ve been better value and more to choose from! Service average! Excellent food and service. Particularly enjoyed the stuffed squid and the steaks cooked as requested. Wine list also ok considering beer is the main attraction. View and added fireworks a bonus! We had a reservation booked for Saturday 23rd March for 4 people and we were disappointed with the value and quality of food, we ordered the prawns to start and to share as there were 4 of us, we expected to receive at least 4 however we received 3 which seemed strange. For the main course, we ordered two dishes again to share as the steak on the menu suggested it was 500grams (enough to share) however when we received the steak it was definitely not 500grams more like 350grams and the Lamb was mainly gristle and fat. Slightly disappointing on the food. Great overall experience. Easy to book, staff were friendly and attentive, stunning views. 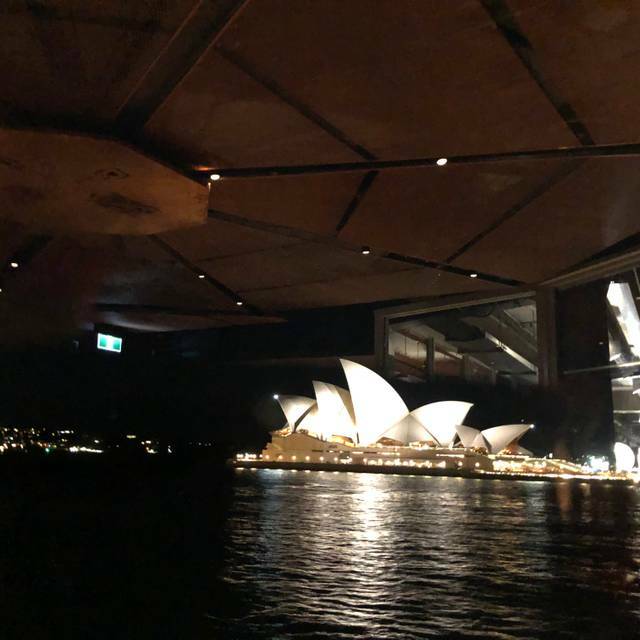 Very accommodation and graciously offered us a beautiful table by the window with world class view of opera house and Sydney bridge. An outstanding evening. The view was amazing. The food was very good and arrived quickly, in fact before the drinks for starters and main! We have already recommended this venue to friends and have made plans to go again. My friends and I will definitely recommend The Squire’s. Commendable staff service and delicious food selection in their menu. Not to mention their drinks are awesome too! Service and food were good. The view was awesome - especially as the sun set and a hen the moon rose over the Opera House. Building has an awesome vibe. Food and service was fantastic. Only inconvenience was the view from the 2 person table obscured by a pole. View is fantastic. Food was limited and not wonderful, but the view was world class. 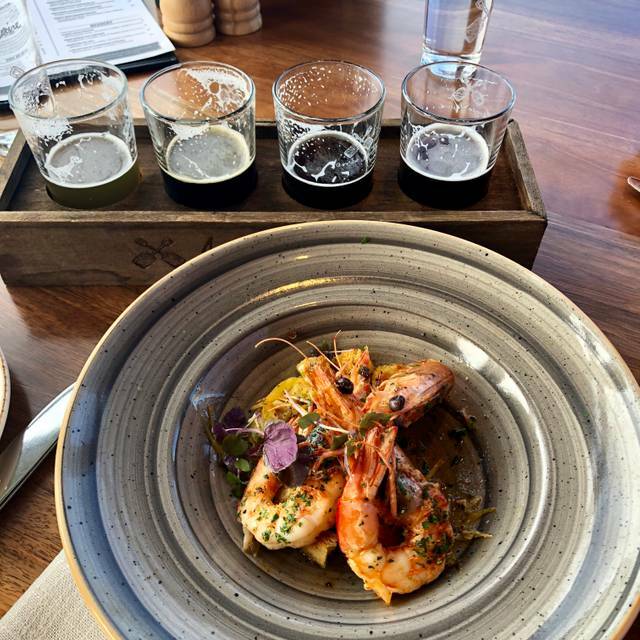 The perfect dinning experience with some of the best views of circular quay! We booked last minute on a Saturday and were given an excellent table with a fantastic view. 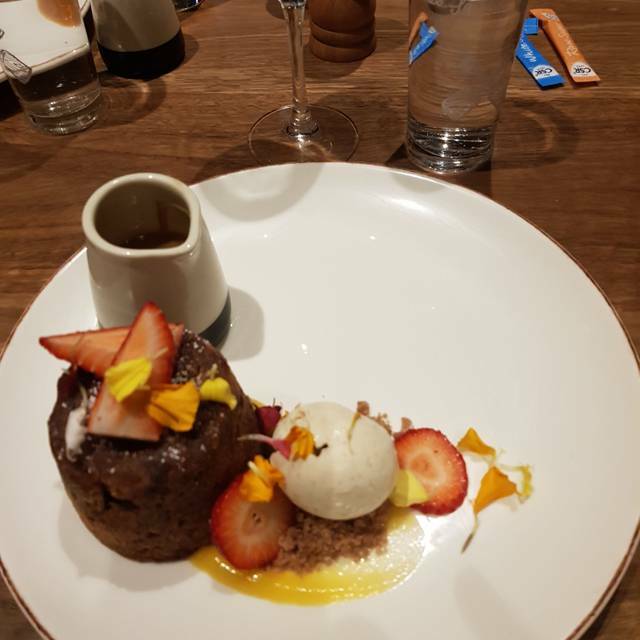 The food was lovely, if slightly on the expensive side for what it was. Our only issue was the taciturn service from our waiter! He brought one of us the wrong drink, then insisted she ordered vodka lemonade instead of Diet Coke (we all heard her say Diet Coke) and wouldn’t replace it. Then when she asked if it was st least diet lemonade, he said yes! Now, I know they had no diet lemonade because I asked for some (from a different barman) earlier. And I tasted it also- it was regular lemonade. And she cannot drink sugary drinks for health reasons. Not used to waiters being so rude! 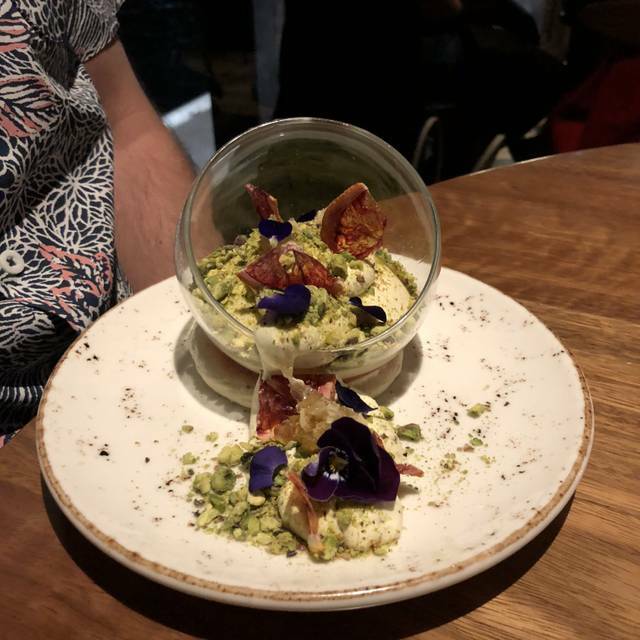 Also the starters came out missing one dish, and when we asked him for it, he rudely banged it down on the table. By the way, all the other servers were brilliant but he left a bad taste. View was amazing, however partner and I are vegetarian and there wasn’t that much of a variety. Arrived at 7.00pm. Mix up on tables as we had relatives booking same night. Food order taken at 7.45pm and meals delivered at 9.15pm. Poor service and still added 10% gratuity to the bill. Would not recommend. Good food, service was also very good. Views are outstanding with the Opera House one side and the Harbour Bridge on the other. We ate early but there was a nice buzz about the restaurant. This has become my favourite restaurant in town. The food is superb and the staff are always so attentive. 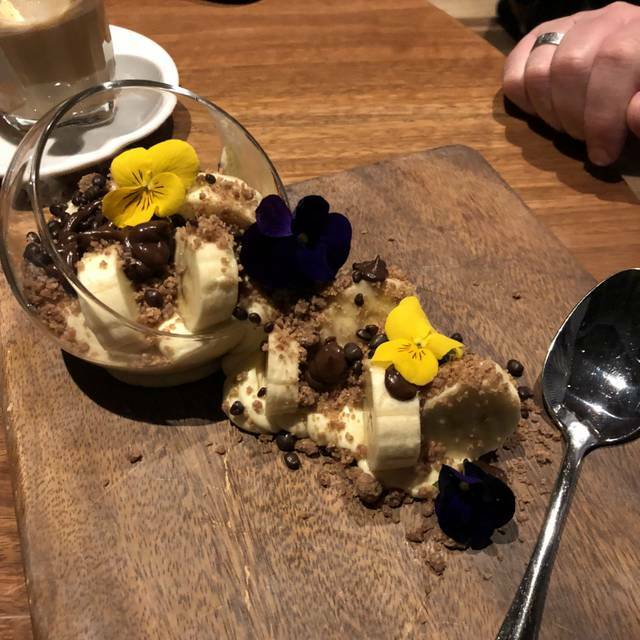 You must try the Gwydirshire sourdough and the banoffee pie just delicious! Fantastic view, food and service - we will be back! Great views...after the Queen Elizabeth ship departed! Food and service were both excellent. Thank you. 2nd time I have been to the restaurant on 1st floor to dine. Much busier this time and seated in the round room at the end. View wasn’t as spectacular this time as a cruise was in dock! The tables are all quite close to one another so a bit cramped but food was delicious and our waiters very good. We will be back!